The sport involves horses racing at a non-galloping speed driven by men or women balanced on two wheeled sulkies. Harness racing grew in Wales in the late 19th century, originally involving Welsh cobs which are still still paraded at Cardigan's annual 'Barley Saturday' competing along roads. With the increasing popularity of harness racing, the races were moved to grass tracks and standard bred horses were imported from America to replace the native breeds. The oldest trotting meet in Wales is in Llangadog which has been held every Easter Monday since 1884. Many events are shown on Welsh language television channel S4C on its programme Rasus. Ceredigion west Wales is has three venues where you can enjoy harness racing. Tan y Castell, Tregaron and Lampeter. These events make a great day out for the whole family. The tracks are just half a mile so the races are fast and spectators are close to the action. First major agricultural show of the season. 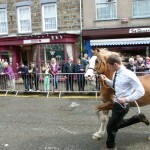 Horses, livestock, sheep, machinery, displays. This is an impressive annual agricultural show. This local show attracts many visitors from the surrounding areas, uniting the farming industry and local community. 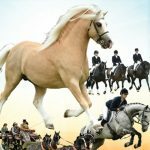 A wide range of events take place from produce and poultry shows through to equestrian. It provides excellent opportunities for local farmers, plant growers, and exhibitors, and is a fun day out that can be enjoyed by all the family. Directions Located on the A44 between Aberystwyth and Capel Bangor Aim towards Aberystwyth, following the A487 through the villages of Tal-y-Bont and Bow Street. After you have travelled through Bow Street, take the first turning left onto the A4159. Continue on this road until you reach a roundabout. On the roundabout, take the first exit left, marked A44 Llangurig. The Show will be seen straight ahead of you. Please use the correct entrance.